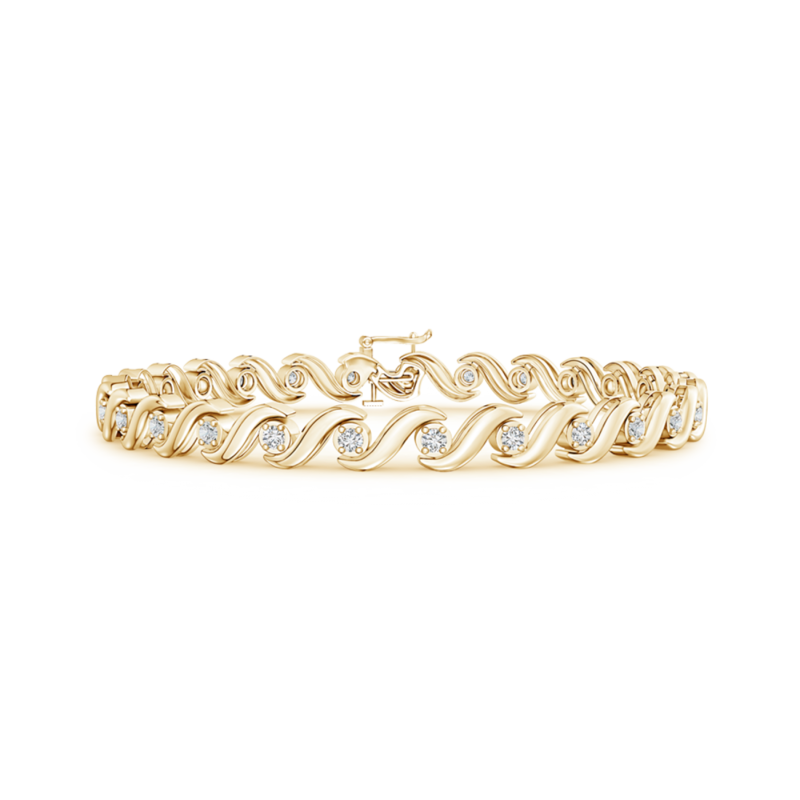 Create a stunning swirly effect with this lab grown diamond tennis bracelet. It is studded with engineered diamonds and each diamond is surrounded with metal swirls to create an illusion of a link chain. Simple, sophisticated and attractive, this swirl diamond bracelet makes a dainty choice for any fashionforward woman.